UTTAR Pradesh Chief Minister Yogi Adityanath on Sunday alleged that a vote given to the Congress in the Lok Sabha elections would only strengthen terrorism, Naxalism and separatist forces and obstruct development. Likewise, votes given to the ruling Telangana Rashtra Samithi in Telangana would strengthen the hands of Asaduddin Owasi, heading the party’s ally AIMIM and his brother, he said. In contrast, if voters chose BJP, under the leadership of Prime Minister Narendra Modi, they could be assured that the party led Government would ensure the country’s comprehensive development, prosperity and establish India as a superpower, he said. Addressing a public meeting at Peddapalli in support of BJP’s candidate, S Kumar, Adityanath termed both the Congress and TRS as ‘anti-nationals.’ He alleged that both parties were supporting activities which are dangerous to national security. “The recently released Congress manifesto certifies it while AIMIM is known for its anti-national statements and acts,” he said, asserting that the alliances of these two parties with all of them would only create a serious threat to the security of the country as well as Telangana. He accused the previous Congress-led UPA Government of “serving biryani” to terrorists and said the Modi Government on the other hand, has shown resolve “with bullets” in dealing with terror attacks. “The BJP leadership has shown that only bullets can be the answer to terrorists,” he said. Adityanath also alleged that the UPA Government ‘failed” the Armed Forces by not allowing them to act (against terrorists) and said the hands of the scientists were “tied,” unlike under the Modi Government when they showed their prowess. by developing the A-Sat. He said the public were aware that the BJP had worked to enhance the country’s stature and pride. Everyone knew of the surgical strikes (after Uri terror attack) and Balakot air strike (following Pulwama terror attack) were carried out giving a befitting reply to the nation’s enemies, he said. Adityanatha flayed the TRS-AIMIM tie up, saying that after seeing their five year rule, it seemed that TRS again wanted to establish ‘Nizamshahi’ (Nizam’s rule) in Telangana and wants to make the people “slaves” again. Under no circumstances should this “conspiracy” of TRS be allowed to succeed, he said and said BJP would ensure it dealt sternly against anti-social, anti-national and anti-development activities and bring prosperity in the lives of common people and improve their living standards. 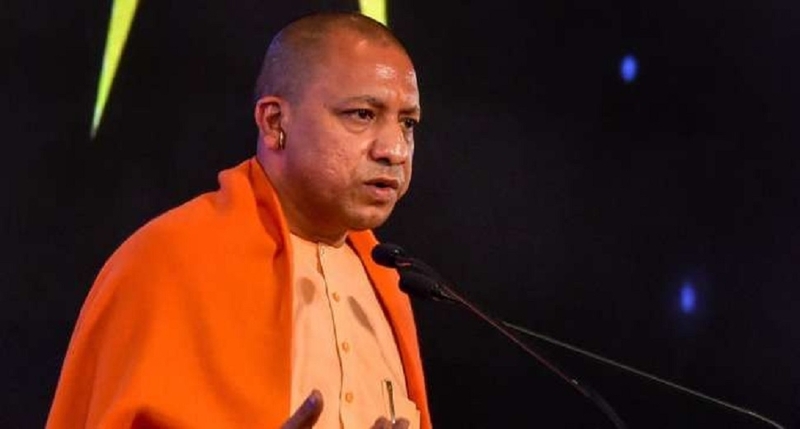 Terming the TRS Government’s move to implement 12 per cent reservation for Muslims as “unconstitutional,” Adityanath said, “....Reservation to Muslims is against the Constitution. Constitution does not allow it (reservation for Muslims).” He was referring to the resolution passed by the Telangana legislature and sent to the Centre, seeking its nod to increase reservations for Muslims in jobs and education from current four per cent to 12 per cent. He accused the TRS of failing to fulfil its electoral promises and not implementing Central Government schemes in the State, including the PMJAY health insurance scheme. The UP Chief Minister alleged that both Congress and TRS indulged in appeasement politics and hence have to be rejected and appealed to the people to support BJP and ensure a huge victory for their candidates.